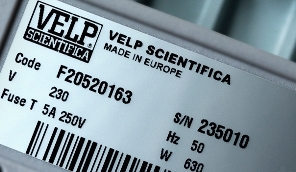 AREX-6: analog solution with CerAlTopTM plate upgradable to digital by connecting VTF or VTF EVO thermoregulators for accurate temperature control of the medium. 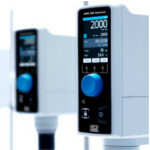 AREX-6 Digital & Digital PRO: the most advanced digital solution including the external probe Pt100 (AISI Ti) or the digital thermoregulators VTF / VTF EVO for state-of-the-art thermoregulation. AREX-6 Digital and Digital PRO come with Built-in Timer, Auto-Reverse option, and new display with icons for superior ease-of-use. All the ARE/AREX-6 models share top-class features such as the brushless motor, the new powerful magnet with leading magnetic coupling, the SpeedServoTM torque compensation and the best-in-class thermoregulation. 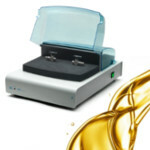 VELP new hot plate stirrers are engineered for the maximum protection both of the operator and the sample and for ensuring usability with a smart user interface and enhanced ergonomic. 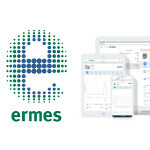 The 6 Series enriches VELP family of round top hot plate stirrers and for the first time it is possible to extend VELP warranty to 3 Years, registering the product on-line. 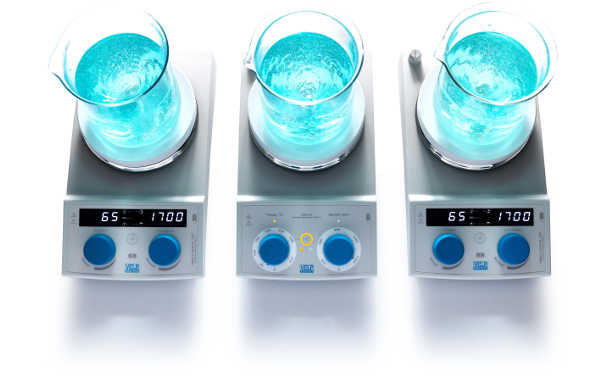 In addition to the launch of the 6 Series hot plate stirrers, VELP has introduced a brand new set of accessories including: AluBlockTM to perform numerous reactions reducing time and bench space, Hemispheric Bowls for clean and safe analysis with round bottom flasks, new Pt100 probe coated in glass and magnetic stirs bars with new shapes and dimensions. Download the brochure and have a look to the new video.